The CHOICE Team looks forward to a very impactful and successful second season. They have already made history as the first MBUSD booster club established for a Special Education Program. However, the goal is not to only make history Their mission is to help make a better future for the 2017 CHOICE Team, and the CHOICE Teams who will follow in their footsteps. 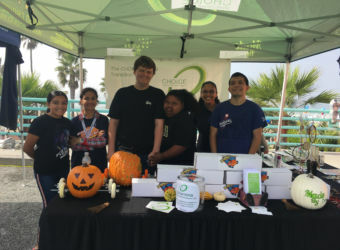 Extracurricular programs at Mira Costa are primarily funded by Booster clubs. 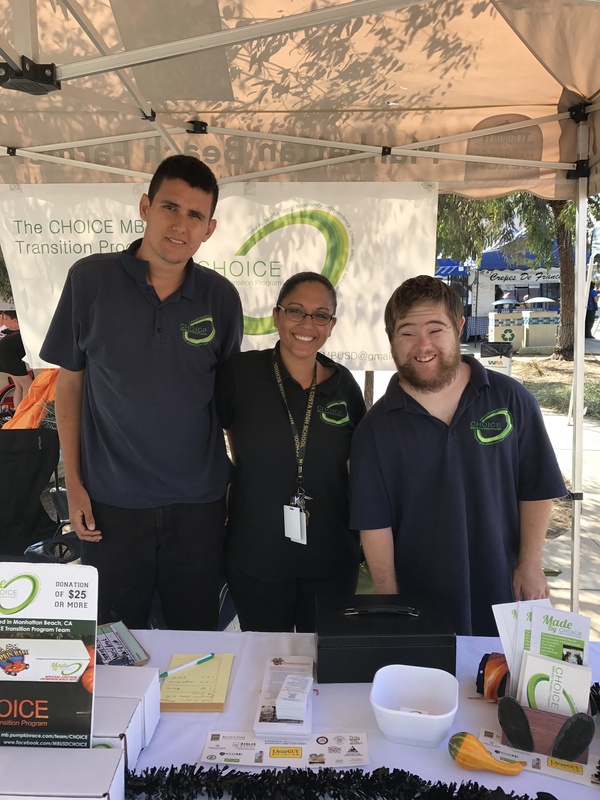 Funds for the CHOICE Team booster club are achieved through voluntary donations from local businesses, community members, families and friends of CHOICE Team members. 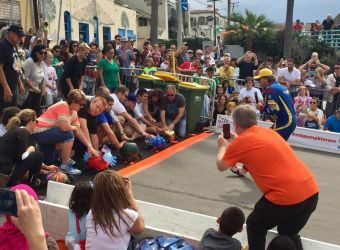 The primary fundraisers include the Manhattan Beach Pumpkin Race on October 29, 2017, 12:00pm at the Manhattan Beach Pier and the MADE BY CHOICE Pop‐Up store community outreach program. The Pop‐Up store will be at various locations and events in MB, HB, and RB from April through October, and available online year‐round. 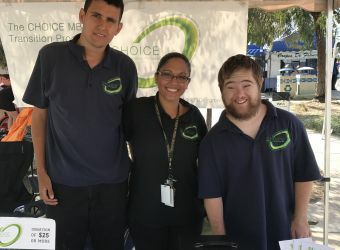 The Pop‐Up store features unique, hand‐crafted products and CHOICE program information designed and assembled by the CHOICE Team, available for a minimum donation. 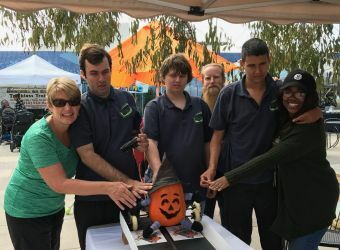 The fundraising activities are designed to benefit each CHOICE Team member’s vocational transition by including them in the process of selecting, designing, assembling, marketing, and selling fundraiser products in a safe, neurodiverse work environment. After a period of job training, CHOICE Team members may be offered paid work experience which is funded by the booster and local businesses. CHOICE Team members who elect to accept offers of paid work experience will receive monthly stipends commensurate with the amount of work performed. 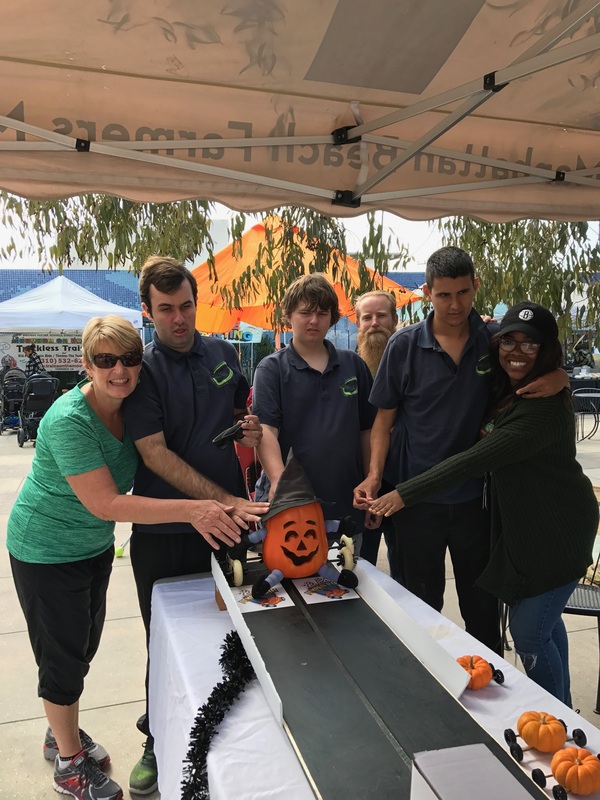 Fundraising activities and direct donations to the CHOICE booster club help cover supplemental vocational program expenses including transportation, stipends, off‐campus vocational training facility, work uniforms, raw materials and equipment for fundraising activities. Most Job Coach, Supervisor, and Instruction Assistant stipends are paid for by MBUSD. For the Choice Team programs, the booster club is responsible for paying other approved stipends which are over and above what the district pays for. CHOICE gets ready for the annual Pumpkin Races! 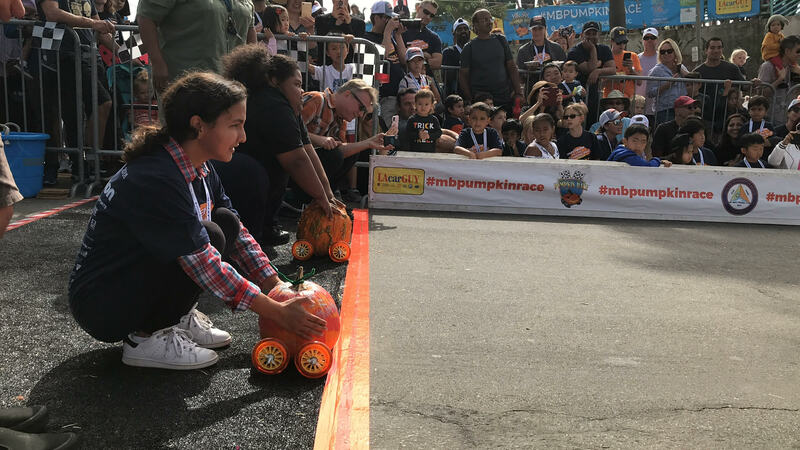 MB Pumpkin Races – Ready, Set, Race! 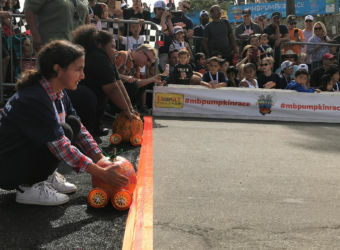 This Sunday, October 29th MB Pumpkin Races – Ready, Set, Race!! CHOICE kicks off the races at 12:00 – 12:30 pm. 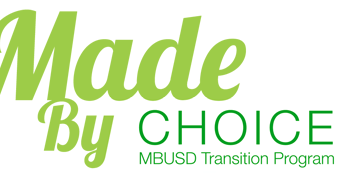 Stop by the CHOICE Booth to purchase a race kit or make a donation to the MBUSD CHOICE Transition Program. All donations receive a Free bag of popcorn!